Back in autumn 1996 , in a time when the WorldWideWeb was growing but still a medium for computer-freaks and insiders, there were a couple of Formula One webpages and some about CART. But no webpage dealing with Formula 3000. "Congratulations to the Champions: Damon Hill, Jimmy Vasser and Jörg Müller!" was the first title of Speedsport Magazine, named "Mike's Motorsport and Formula 3000 Page" at that time. This title is already showing what it is all about: Formula 3000, Formula 1 and CART IndyCars. The Formula 3000 section was soon growing with drivers` biographies and race reports of the 1996 and 1997 season, together with the F1 and CART pages being joined by more and more other championships. One of the intentions and what is unique about this website is the easy, detailed and complete presentation of racing results from all major championships all over the world. In 1998, the website got its own domain "www.speedsport.org" and was named "Mike's Speedsport Magazine" - including "The First And Unofficial Formula 3000 Site". Speedsport Magazine meanwhile has become one of the worlds biggest racing sites and leading results resource. "The First And Unofficial Formula 3000 Site" features comprehensive statistics and Informations about the F1 feeder series. One of Speedsport's results statistics in the year 1999. During 2000 Speedsport Magazine got a new domain "www.speedsportmag.de" and a major facelift - with the Formula 3000 section now more integrated and a better handling and navigation. 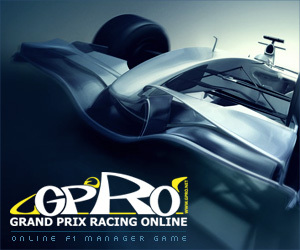 The driver database meanwhile has grown up to over 1000 entries, and the "complete season calendar" has been introduced. More important, the complete coding has been restructured and Speedsport Magazine, for example, calculates points automatically when results are inserted - and that by paying attention to all the scoring systems. Many of them are much more complicated than the simple Formula 1 system and I doubt that there are many non-commercial motorsport-websites that have the same amount of programming effort at that time. Here is the 2003 Edition of Speedsport Magazine, with the racedriver database now grown to over 2000 entries. A typical view of qualifying and race results section during the 2003 season. A major change came at the beginning of 2004. While the "look and feel" of the new Speedsport Magazine is very similar, the complete coding is re-done. Together with better navigation, even more series and statistics, and a now searchable racedriver database, a news section with up-to-the-minute informations from the racing world has been included. Moreover, a multi-language function is now introduced. The race driver database has reached 3000 drivers in April 2004. A new design was introduced in 2007. In addition to the refreshed look, there were many other optimizations. A new "circuits" section was introduced: From now on Speedsport Magazine features an race circuit database with track info and Google Maps views. 2008 brought a little facelift with some modifications. In the year 2010 conceptual work started for the new Speedsport Magazine. After many years there was a need to renew all: design, code, database, frontend, Backend - everything. Development took until late in 2011, but in october 2011 Speedsport Magazine could finally be relaunched! Here one of the heavily revised sections: the race circuits - with map view and lots of information. ... as well as a section with race teams containing about 2000 entries. The Speedsport Blog, previously outsourced to Facebook, has been integrated for the season 2013. Moreover, since then there is a new section for photo galleries. Many new series have been added to the coverage for the 2013 season. In touringcar racing for example the V8 Supercars from Australia, the V8 Stockcar from Brazil and the Italian-based Superstars Series. The coverage has been extended by more racing series - the data has grown in the meantime to about 2,500 teams, 1,500 vehicles and 10,000 drivers. Another relaunch for the start of the 2019 racing season with many improvements.